Organizer: Canton Universal Fair Group Ltd.
Approved by: The Ministry of Commerce of P.R.C. Headquartered at Canton of Guangdong Province , South China in 2004. Canton Universal Fair Group Ltd. is the first company which devoted itself into imported wine and food exhibition in China. Found in 2005, China (Guangzhou) International Wine & Spirits Exhibition which is “Interwine” for short, is already successfully organized its 10th session in 2013. Interwine is approved and supporting by the Ministry of Commerce of P.R.C. 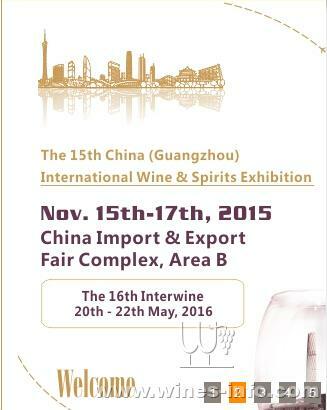 As the largest imported wine fair in China mainland, Interwine exhibition scope is in 50% growth for each session.